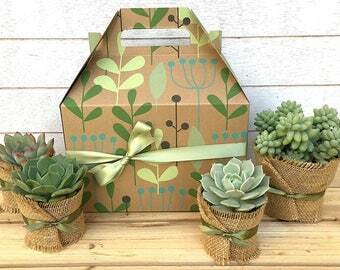 Perfect green thumb thumb gift. 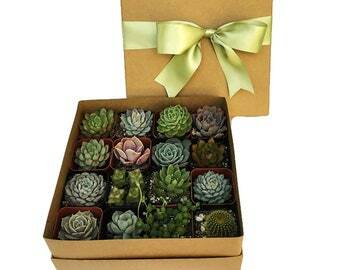 Succulent gift box with six assorted succulents in 2.5" pots. 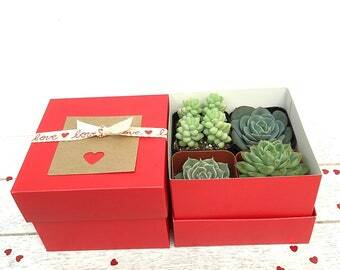 Great Mother's Day gift! 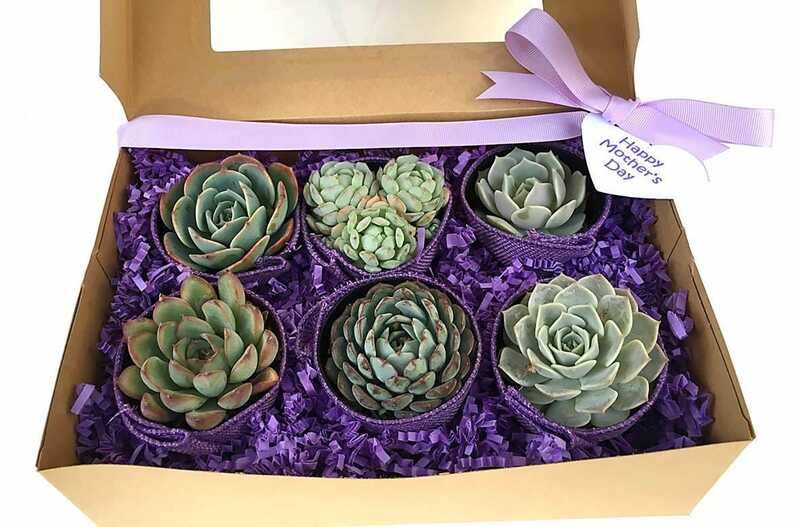 ♥ Each succulent is individually wrapped in purple burlap, tied with purple ribbon and is placed in a Kraft style gift box (box size is approx 10"x7"x3"). 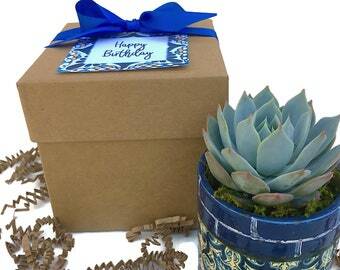 Gift box is wrapped with purple ribbon. Bought these for my MIL she’s beyond happy with them!